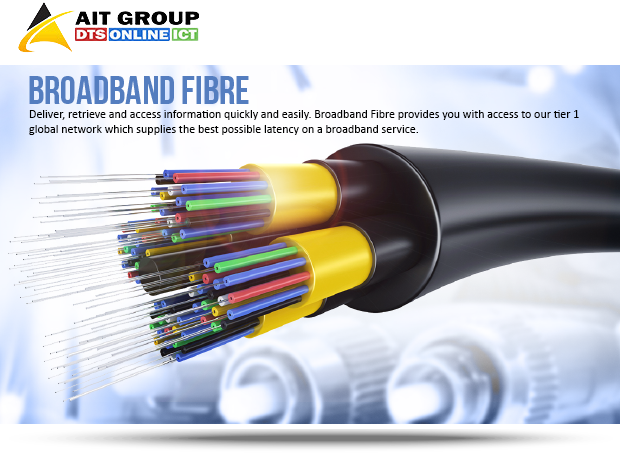 Using our superior and robust fibre infrastructure, Broadband Fibre delivers an unparalleled internet experience to businesses looking for uncapped and unshaped solutions with speeds of up to 200 Mbps. Fibre Broadband is ideal for businesses looking for a superior, effective, convenient and fast Internet solution. Installing AIT DTS Fibre solutions will allow us to consolidate your Internet Data, VOIP and Video solutions to one platform. This solution includes a Service Level Agreement and all existing TELCO infrastructure may be replaced, thereby providing a more cost effective solution. Please note that all pricing is exclusive of VAT. Stable last mile connectivity with SLA. Please Note: Fibre/ Microwave Broadband offers a fast and efficient fibre based Internet service that is uncapped, unshaped, has a very low contention ratio and speeds of up to 200Mbps which offers a far superior Internet experience over ADSL services.